Miss Penelope Lumley is a governess at the home of the honorable Lord Ashton, watching over three very peculiar but remarkable children. Beowulf, Cassiopeia, and Alexander were found in the woods attached to the Ashton Estate, and were rumored to have been, until the day that they were discovered, raised by wolves. Despite their distinctive canine behavior and habits, they are excellent pupils and quite gifted in many ways. The children are not the only peculiar things living at Ashton Place, Lord Ashton comes from a line of Lords who have a strange genetic illness which causes them to make strange howling noises whenever there is a full moon…And the matriarch of the family has decided to visit Ashton Place with her new beau, an ex-Admiral who dreams of starting an Ostrich-racing business with the widow Ashton’s money. Can Penelope prove to the Ashtons that the Admiral is not who he seems to be? Can she discover the real secret behind Lord Ashton’s full moon illness? And what about the strange origins of the incorrigible children? The Incorrigible Children of Ashton Place: the Mysterious Howling, by Maryrose Wood, is an amusing middle grade novel which is the first in a series of books. The writing is light and amusing, and this could be a good novel to read aloud to an elementary aged child. If you would like a darker twist on the Mary Poppins-like stories, then give this series a try. Hazel Renner was raised by German-American parents in Pittsburgh, Pennsylvania. When she came of age, she learned that her parents were not her true birth parents, that her early memories of a grand house with servants and fancy dinners is actually a memory from her childhood, and not a lingering dream. She leaves the home of her adoptive parents to be a teacher in a rural town called Galway and she hopes to find her own identity. Strange events ensue that will haunt her for a lifetime. Stunned by tragedy and injustice, she tries to trace her roots back to her mother, hoping to break the cycle that her birth mother started, causing destruction in her wake and possibly passing it to her daughter. 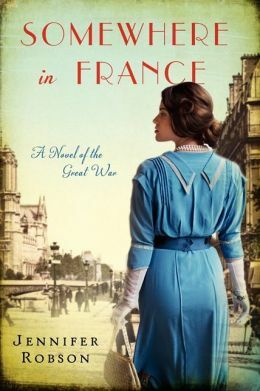 Her past leads her to a castle owned by a German Baron, a gardener who may be the love of her life, and a discovery of what she really wants in life…But with World War I in effect, she stands to lose everything and everyone dear to her. 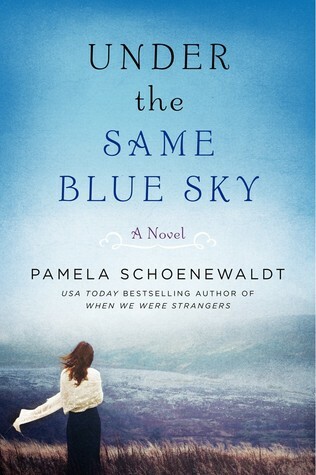 Under the Same Sky, by Pamela Schoenewaldt, is a novel with a touch of magic, a lot of heart, and the deep emotion associated with loss and love. Readers may remember a previous novel by Pamela Schoenewaldt, Swimming in the Moon, which I covered when it first came out. Pamela Shoenewaldt has a gift for the deepest uncertainty which comes with blind love for someone, or many “someones” in your life-and the possibility that they are broken, damaged, or capable of harming themselves or others. Abigail Weston has a life of promise in front of her. Her family is “new money” and she has a very promising dowry to make up for her lacking aristocratic background, she hopes to find a suitable (and hopefully devilishly handsome) husband when her father buys a country estate. She is immediately attracted to the brooding, serious neighbor, Sebastian Vane. But she learns that he has a dark past, and much of the town steers clear of him. Sebastian Vane cannot pretend the lovely new neighbor exists, nor can he deny that he finds her irresistible. But what can he offer a woman who has everything, when he has nearly lost everything in his life? These two love birds will fight against all odds to make their way to one another…But is their love strong enough to bring them together in the end? It Takes a Scandal is (obviously) a bodice-ripper of the first order. If you like smutty romance novels (you know who you are), then don’t miss Caroline Linden’s latest release. Maya Rodale’s Bad Boys and Wallflowers series, which started out with The Wicked Wallflower, has now introduced Wallflower Gone Wild. These lusty bodice-rippers are exactly what you might expect, full of fiery heroines and dark, brooding heroes who have no choice but to fall madly in love with one another (while, of course, breaking all rules of propriety along the way). Novel #2, Wallflower Gone Wild, is about Lady Olivia Archer. Voted London’s Least Likely to Cause a Scandal, and hen-pecked miserably by her marriage-minded mother, Olivia is at her wit’s end. Especially when she realizes that her less than desirable financial situation has limited her options when it comes to suitors. Not to worry, however, Olivia’s parents have the perfect gentleman lined up for her- Phinneas Cole, otherwise known as The Mad Baron, who is widely known in the rumor mills as a mad inventor who murdered his previous wife. Olivia will do whatever it takes to avoid marrying this frightening (but devilishly handsome) gentleman. She sets out to make sure that The Mad Baron would never find her attractive. Her plan seems flawless…But what if she doesn’t have the resolve to hold him off? These novels are for the smutty novel-reading, bodice ripper crowd, so if you are looking for something easy to read and full of scandalous passion, pick up Wallflower Gone Wild today. Lady Elizabeth wants what every young woman wants…A little independence, a purpose in life, and maybe, if she’s lucky, fulfilling true love. 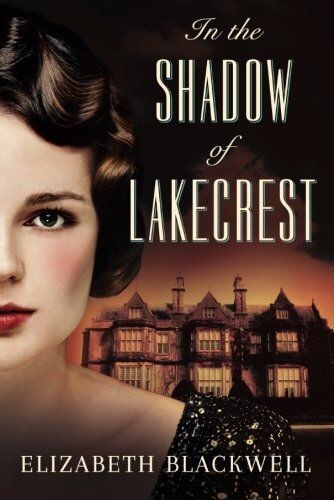 Unfortunately, in 1914, a blossoming lady from an aristocratic family has only one true purpose. To find a husband who will be suitable for the fortune of the family line and become a respected lady of society, just like her mother. Elizabeth longs to see the world, experience life, help people in need…But her mother will hear none of this, and the young lady of the house is forced to walk away, with almost nothing to her name, and no survival skills whatsoever, braving a world that would resent her if she told them her true social standing. Seeking the one man who ever seemed to see her for who she is and what she can become, Elizabeth works hard to learn skills that would make the ladies back home faint with shock. A young lady driving a vehicle? A young lady in a war zone, hauling men from battle to the hospital? This young lady faces a world that barely embraces women in the workforce, experiences events that would give anyone nightmares, risks her own life every day, all without complaint…But with her heart full of love for Dr. Robert Fraser, a man who cannot acknowledge their relationship but whose passion for her surpasses all sensibility. I will be the first to admit that when I saw the cover to this book, I thought “OH BROTHER, another cheesy romance novel…” but I was pleasantly surprised the night that I decided maybe some light, silly reading would be just the thing at the end of a long day…Lecia Cornwall’s How to Deceive a Duke was surprisingly fun to read, with just the right amount of cheesy and inevitable love, but some pleasant surprises giving it unexpected originality. Meg (Marguerite) and her family have lost everything-if her older sister doesn’t marry the rogue, Nicholas Hartley, they will surely be ruined and have to sell off everything they own, and Meg will be forced to provide for the family by seeking employment. When her sister runs away from home at the prospect of marrying an infamous womanizer and all-around rake, Meg does the first thing that comes to mind-she puts on the gown and veil and walks down the aisle herself! The duke is none the wiser and by the end of the day she is a duchess-but what will happen when people learn that she is not the eldest Lynton sister, but the second? And what will it be like to be married to this terror of a husband? The new duchess is in for a pleasant surprise, however, when she discovers that her womanizing husband is, admittedly, very charming indeed. She finds herself in a very confusing situation. Her duty is to bear an heir into the Hartley blood lines, but when the two of them are locked in a bedroom together, her duties are very little like duties, after all. Very confusing, indeed. 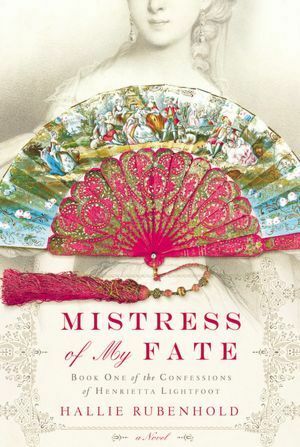 If you like bodice-rippers or historical romance novels, this novel is just what you need for an easy, pleasant read. Don’t be fooled by the cover, this is one of the better romance novels of the year.